I've only tried the unflavored pea protein isolate, but this is gag-inducing stuff. 0/10 on taste, I've eaten earth-worms before and this is somehow worse than that. It tastes sandy and bitter and gets caught in your throat. 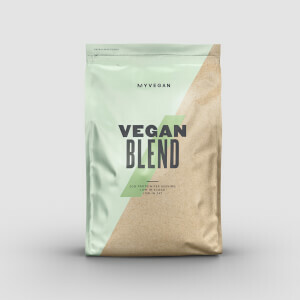 If you mix it with water in a shaker, it bubbles and froths so that froth is 60% of the mixture, and a dense sludge of the protein forms at the bottom, with a remaining 20% or so of water. That's the only way I've drank this, planning on mixing with soy or almond milk in the future but will probably either throw it out or gift it to someone I don't particularly like. As for effectiveness, yeah, it's protein, very similar to whey in terms of macros, etc. Obviously I haven't seen any results yet. Yuck. I bought unflavored. It tastes earthy, kind of pea-ish. Its a little gritty but I don't mind in the least. Surprisingly it mixes very well even with a spoon. At least on par with whey mixability. If you don't mind your protein not tasting like artificial CHOCOLATE CHIP GLAZED DONUT PEANUT BUTTER etc... You will find this quite enjoyable like me. Be well. On its own ofc it's pretty bad. Has a weird texture and taste but when blended with dates, powdered peanut butter, flax, oatmeal, cinnamon, cacao, and pea milk its amazing. You can also add some instant coffee to make it better. Bought 5.5 lb and Gunna buy it again! Absolutely horrible protein supplement, didn't even mix with any drinks and when it did there were usually clumps floating around in it as well. Even tried using it in a blended smoothie and got the same results. Also has a really horrid taste to it, even the vanilla flavored powder was still disgusting. Stay away from this one, there's a reason it's so cheap. No magic, just your regular pea protein. it has a funny taste, other than that quite acceptable. I'm trying to eat less dairy so I decided to replace my whey shake with pea protein. As expected it tastes very plant-like/ earthy. The texture is slightly gritty but again as expected. I like the xanthan gum added as it provides texture and helps to keep my added oats in suspension. If your expecting this product to taste like whey think again. Definitely give it a try. When on a whim and bough 5 pounds of unflavored thinking I could make it comparable to Vega. I don’t mind if hatvthe taste wasn’t great but it was like a puddle of mud when I mixed with my coffee. I love making lattes with pea milk and protein powder and this was just alll kinda of chunks. Bummed. Most pea proteins tend to leave a funny after taste and a grainy texture but this one mixes really well! I think it goes really well in smoothies with banana and berries which makes a filling high protein breakfast. I'll try to keep this brief. Im a guy who can nearly stomach anything, but this was something else. There is a reason why this is cheap. -This product tastes like slightly sour milk with dirt, I bought chocolate and unflavored, chocolate is bearable, unflavored is puke range. -it doesn't mix. One scoop with 16oz of water gets you a thick mud. A few minutes of sitting and it's back to being clumped at the bottom. 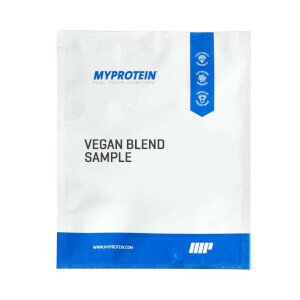 Best price for pea protein I've found so far and has much less sodium than other brands. I recommend mixing in curry or soup rather than shaking in a blender bottle which leaves it frothy w/ a dirt taste.